Direct Drive top walking foot & bottom feed sewing machine. 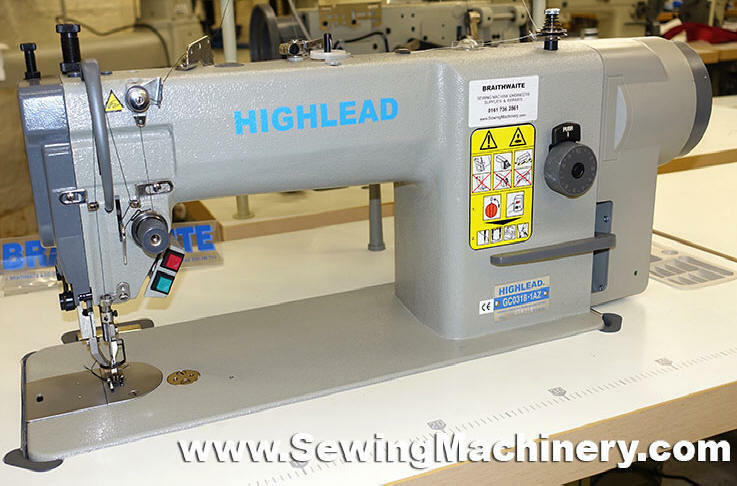 Highlead GC0318-1AZ direct drive heavy duty top walking foot and bottom feed lockstitch sewing machine. 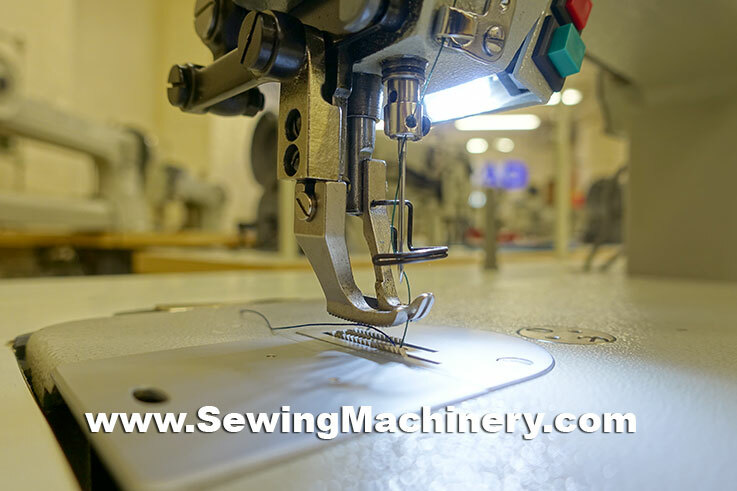 A powerful compact energy saving servo motor is fitted directly onto the sewing machine head; replacing the bulky motor usually found mounted under the table on conventional models. The Highlead Direct Drive motor system offers improvements including: quick start and stop, accurate positioning, low noise, little vibration, smooth acceleration and greater responsiveness for the operator. Direct Drive also eliminates the need for a motor drive belt (connecting conventional table mounted motors to the sewing machine head) offering improved safety with no exposed belts or additional belt guards. Power consumption on the GC0318-1AZ is approximately 50% less when compared with conventional V belt/clutch driven models; offering long term energy savings. 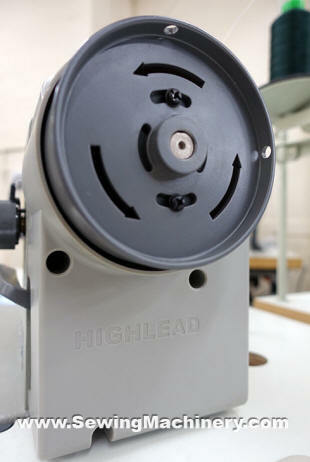 The position of the needle is controlled by Highlead's integrated electronic controller. This will automatically put the needle in an UP or DOWN position (user selectable) at the end of a sewing cycle; reducing the need to use the manual hand wheel. For example: setting the machine to stop with the needle down is useful when turning corners, or changing direction, as it allows the work to be turned and stitching to continue uniformly. A stitch compensation device allows the operator to perform a single half stitch with the push of a button. Useful for detailed work or "inching control" when you want to sew ultra-slow stitch by stitch. The strong top walking foot and bottom feed system is for use when stitching hard to feed or multi-ply materials. A large stitch feature is included, which is dial adjustable up-to 10mm in length. The fitting of a large double capacity hook & base reduces the number of bobbin changes and helps when using the thicker threads associated with heavier materials. A multi led "needle light" is included, which is positioned to illuminate the needle and presser foot area. The Highlead GC0318-1AZ is a general purpose direct drive walking foot sewing machine for use on medium to medium-heavy weight materials and is suited to sewing, for example: car seats, general leather articles, upholstery, harder materials, heavy curtains, belts, horse rug repairs, canvas, tents, awnings, bags, outdoor wear, camping goods etc. Top walking foot & bottom feed model.